The object of this project is to impress on the kids the necessity to “draw what you see…not what you know,” when copying a print or photo. One example I give the kids is, “You know that the animal has two eyes, but only one is shown, so only draw what you see.” That sounds easy enough, but it’s surprising how “what we know” can get in the way. I gave each of the kids a copy of an animal that they were to copy, but they had to draw it upside down with only half of the picture showing at a time. The fifth grade students got really involved in this project, and were surprised at the results. The directions for “Draw What You See,” can be found in the 5th Grade Projects Gallery in the sidebar. 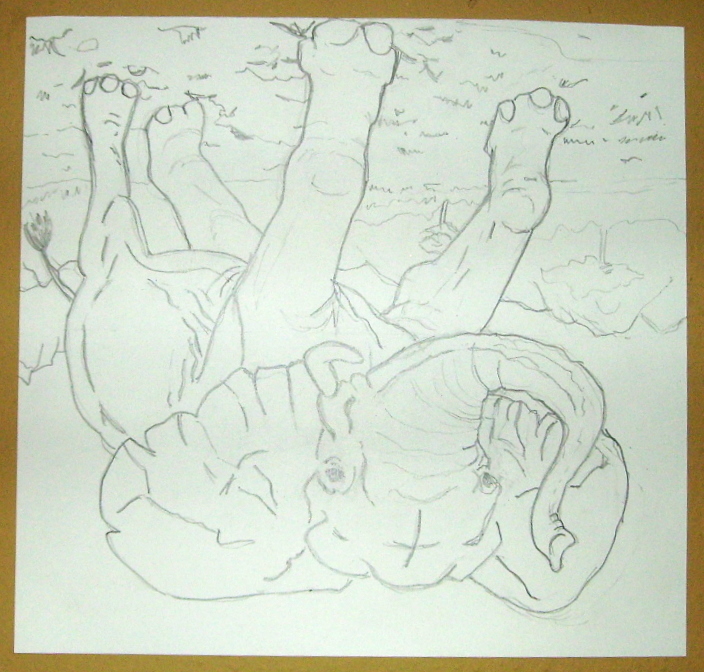 This entry was posted in 5th Grade and tagged 5th Grade, animal drawings, art and crafts for kids, art project for children, classroom drawing project, draw what you see, easy how to draw lesson, upside down. Bookmark the permalink.